Robb Y. Kojima is the Senior Minister at WUC and has been with the Church since 1991. Robb grew up on Kauai and received a Masters of Divinity degree from Fuller Theological Seminary in Pasadena, CA. His greatest joy is laughing with the congregation. His biggest challenge is preaching, which is a challenge and a great joy at the same time. In life, Robb discovered that fishing without catching are good days to be out in God’s creation praying! Jaime Ribao is WUC’s Office Administrator/Bookkeeper. She has been with us since 2008. She graduated St. Anthony High School and has 3 years of college (Benedictine College/Chaminade University/UHMC). Jaime’s greatest joy at WUC is working with a diverse group of people and being able to serve the mission of the Church at the same time. Her biggest challenge as the Office Administrator/Bookkeeper is maintaining job efficiency while wearing a multitude of hats and avoiding burnout. Jaime loves the ocean and spends most of her free time enjoying the sun and saltwater. Damira Feldman is the Music Director at Wailuku Union Church. Damira, a Russian-born pianist, has over 30 years of experience as a soloist, leader of an orchestra, piano teacher, piano accompanist, and chamber orchestra musician. Before moving to Maui, she served as faculty-artist and professor of piano at the Visual and Performing Arts Academy, Broward College, FL. Damira works as a Music Director at the Wailuku Union Church where she provides music for the Sunday Worship service, as well as works with the choir, instrumentalists and conducts other accompanying assignments for special church services. Damira enthusiastically shares the vision of promoting worship and spiritual growth through music. It is her conviction that the primary goal of the church music is to glorify God and bring joy to church attendees. Kanani Kan Hai has served as the Preschool Director since 2006, supervising a staff of five teachers. Among her many duties, she is also charged with enrolling students and assisting the Board in the creation and management of a Church-approved budget. 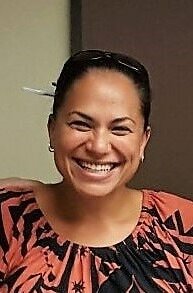 Kanani also serves as a lecturer in the Education Department of the University of Hawaii, Maui Campus and serves as facilitator for Hawaii Early Childhood Accreditation Project (HECAP) and Quality Rating and Improvement System (QRIS) Coach. Kanani earned her Master’s in Education with emphasis in Child Development from Chaminade University in 2009 and among her many degrees and certifications, she is also trainer certified in The Program for Infant Toddler Care (PITC) WestEd Modules I-IV 2011 and coach certified 2011 in CSEFEL Training.